The Scotch Whisky Association, has today announced that it has successfully registered 'Scotch whisky' as a certification trademark in South Africa. The 'Scotch whisky' trademark is one of the first foreign registrations in South Africa, and now protection and enforcement action against counterfeit products being sold or passed off as Scotch whisky, has now been made easier. South Africa, which saw exports of Scotch whisky increase by 20.7% to £144m in 2017, is currently the seventh largest Scotch Whisky market by volume. The Scotch Whisky Association, says that the legal protection of Scotch whisky is vital to the industry's export success. South Africa joins over one hundred other countries where Scotch whisky has been granted specific legal protection. She went onto say: "Consumers can enjoy Scotch Whisky confident that South Africa stands behind Scotch Whisky as a Scottish product, produced according to traditional methods. Scotch Whisky - the UK's largest food and drink export - is growing in popularity in South Africa, with exports up over 20% last year alone. 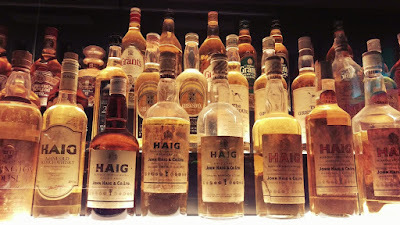 The legal protection of Scotch is another step towards the continued success of this iconic spirit." Last week, the Scotch Whisky Association, announced the results from their annual survey, which revealed that there were a record 1.9 million visitors to Scotch whisky distilleries in 2017. They also announced that visitor centre spending was up by 15.6% to £60.9m.